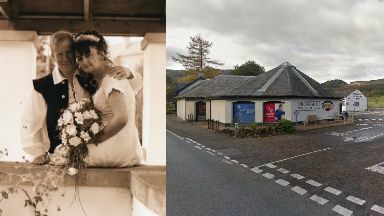 Rachel Cassells died after being struck in the car park of Trossachs Woollen Mill in 2015. Court action: Douglas Cassells sued over the death of his wife, Rachel. A man whose wife was killed after being hit by a bus while at work has been awarded damages following a civil court action. 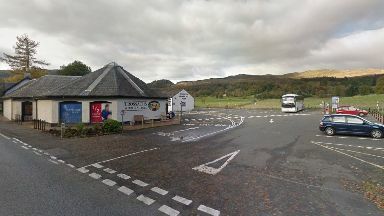 Rachel Cassells, 50, died after being struck in the car park of Trossachs Woollen Mill in Kilmahog, near Callander, in April 2015. Mrs Cassell's husband, Douglas, took coach firm Allan's Group and his wife's employers Edinburgh Woollen Mill to court over the death. It is understood a six-figure sum was awarded in damages. Mr Cassells paid tribute to his wife following the court ruling, which was published on Tuesday. He said: "The loss of my wife is something I've struggled with every day since the incident and it's something that will affect me for the rest of my life. "The court process has helped me heal a little in terms of bringing about some answers. "But nothing will change the fact that Rachel is not here, nor can anything or anyone replace her. "She had a bubbly personality and her own special way of making people smile and as well as being a vibrant loving wife, she was also a devoted daughter and spent a lot of time helping her parents and putting their needs before her own - a great example of her generous nature. "Rachel was a very loving and caring person and the tragedy on that day impacted not just myself but her parents and everyone that knew her. "It still upsets me to this day and I love her very, very much." Mrs Cassells was working as a general catering assistant for Trossachs Woollen Mill at the time of the tragedy. The Court of Session in Edinburgh was told she was struck by the single-decker bus, which was carrying tourists, as driver Brian Alexander attempted to park. In her written judgment, Lady Carmichael said: "I found it established on the balance of probabilities that Mrs Cassells was upright when the bus started moving, and that had Mr Alexander been exercising reasonable care he would have seen her and been able to avoid the accident. "I found that the second defenders knew of, permitted, and, to some extent at least, encouraged Mrs Cassells' practice of greeting buses in the car park." Lady Carmichael stated that Mrs Cassells' employers "failed to take reasonable care for her safety" and that "their failure was a material cause of the accident".